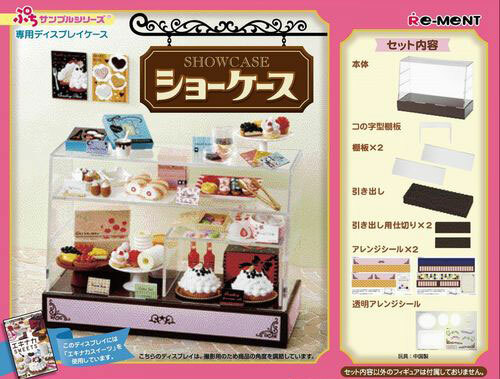 Yet another display case from Re-ment, lets take a look at it. 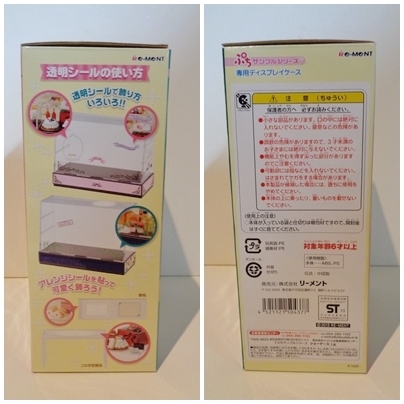 As you can see by the pictures on the box it comes with several display options with the various shelves and stickers. 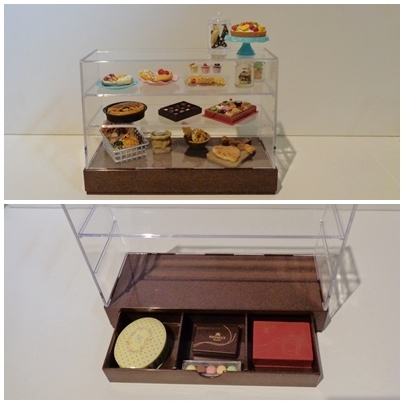 Here's the display case out of its packaging. 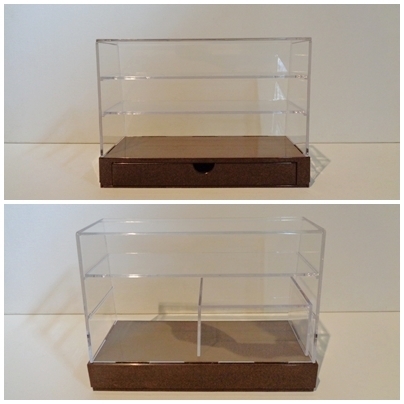 It has the option for two clear shelves or one shelf and a raised section. Inside the base of it there is also a draw which you can use as one big space or use the dividers to make three sections. It also comes with three sticker sheets two of which feature designs for the base of the case, you can choose the ones you prefer. 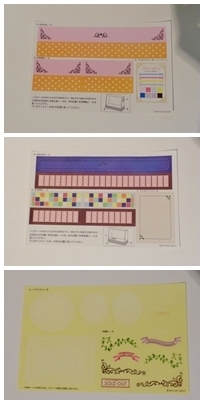 There is also a sheet of stickers for the clear parts of the case, ones which look like doilies and the some to go on the front of the case to highlight certain items, or to simply decorate it. Here is a quick look at the case with some Re-ment in it. It works really well though I suggest having at least one full Re-ment set to be able to fill it. Overall it is well made and is a great way to display your Re-ment collection, I also recommend it for 1:6 scale figures as it is made in that scale. I've noticed that Re-ment have been increasingly been made in this scale which makes them too big for 1:12 scale figures like figma, so this case is really too tall for them. 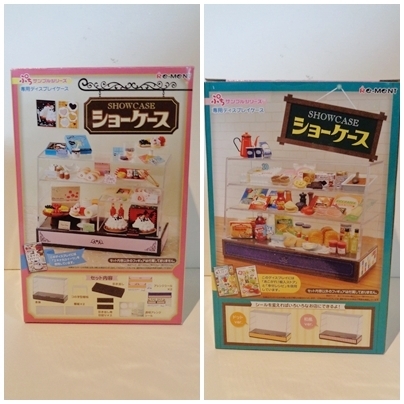 Now I got this to replace my previous display case, whose plastic has gone strange, however due to the height issue I am going to have to customise it. So not ideal but doable.